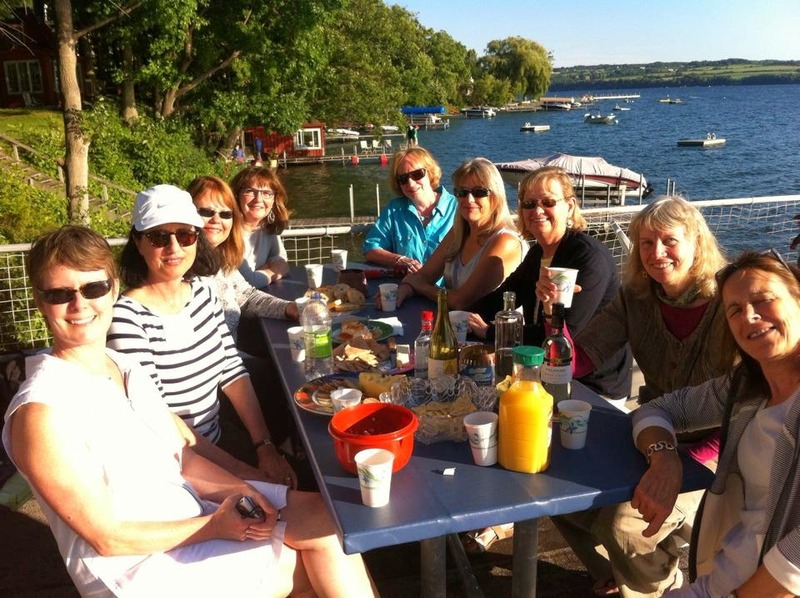 Several of the Peeps joined friends at their cottage on Skaneateles Lake, where they were staying while taking classes at QBL. We enjoyed delicious pot luck, a beautiful summer evening, and wonderful company. From the left -- Anne, Nina, Carol, Jeanne, me, Bev, Linda, Dorothy, and Kate. Here's the dinner cruise boat coming from Skaneateles. Our view down the lake. And a lovely sunset to complete the evening.